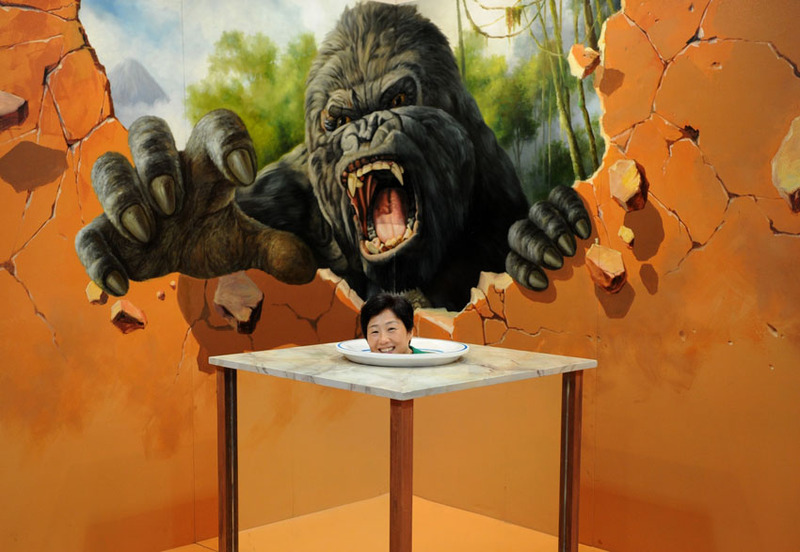 It may well be an "interactive" art exhibition, but you have to give this visitor special praise for allowing herself to be pictured with a fountain cherub apparently urinating into her mouth. 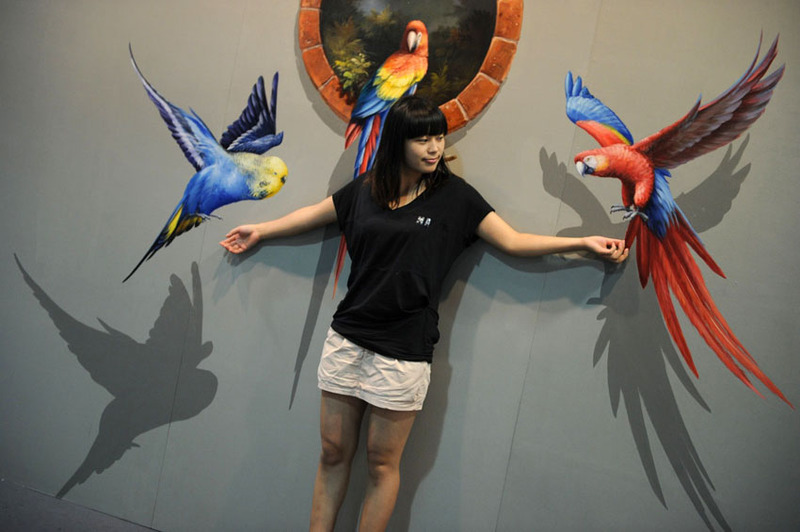 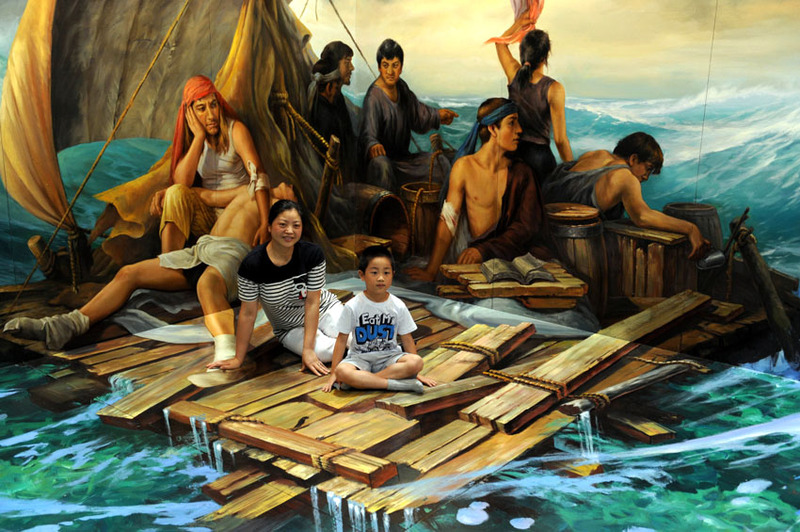 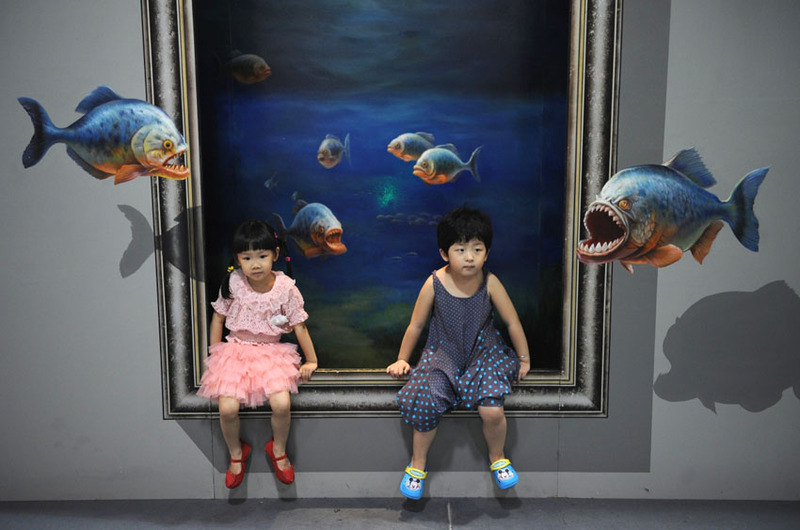 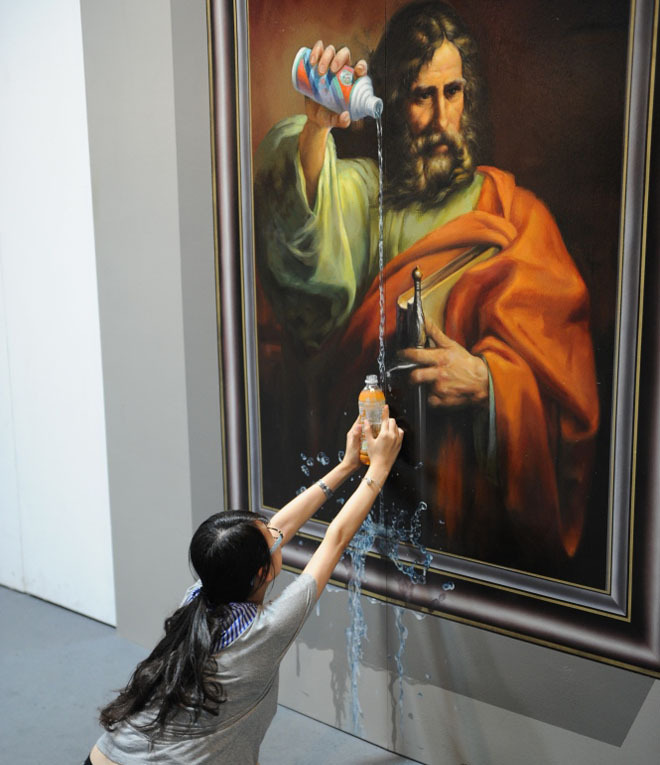 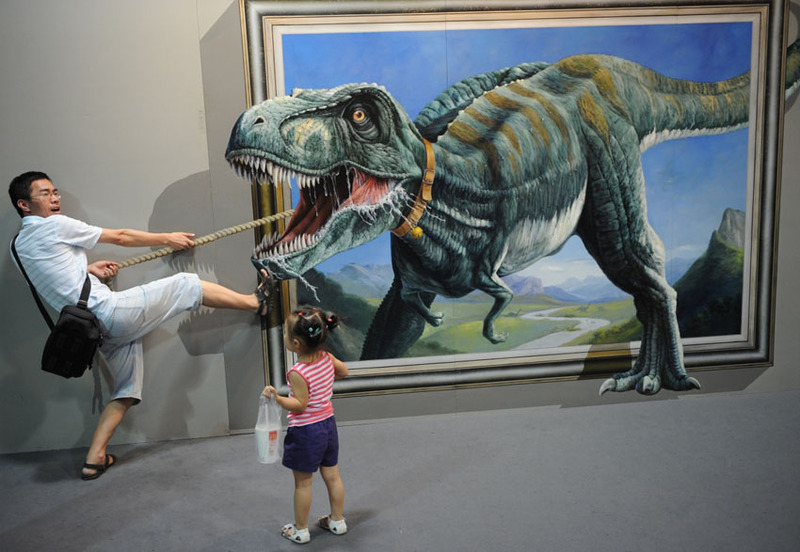 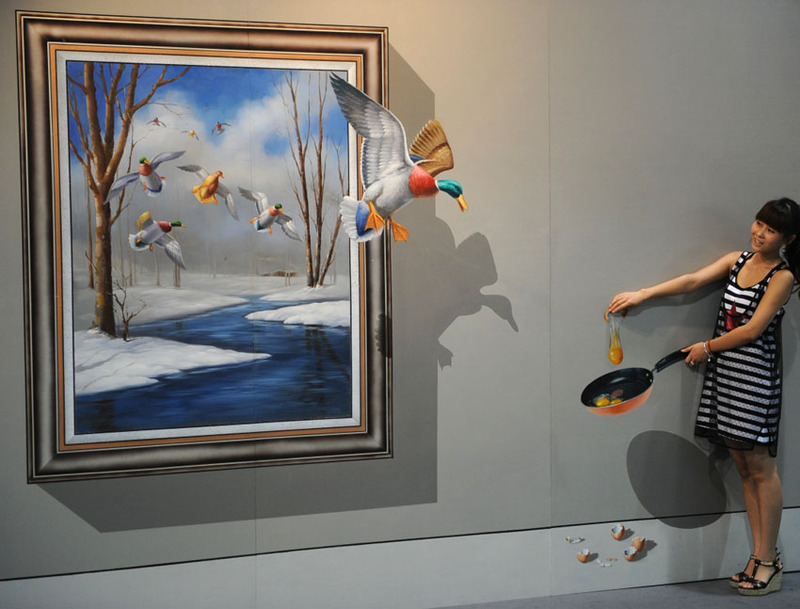 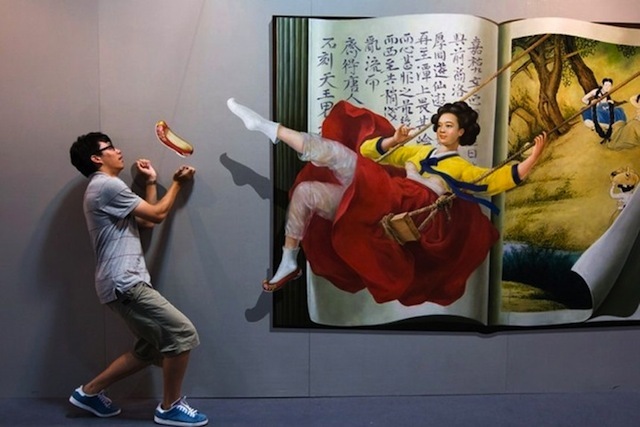 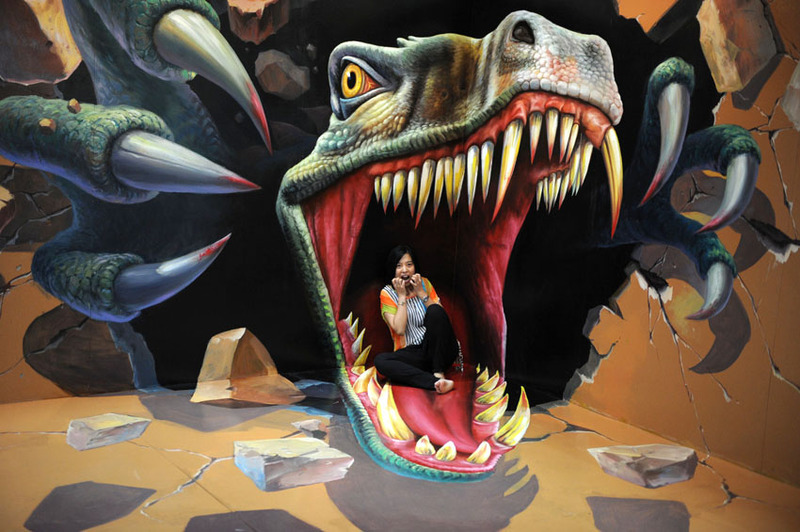 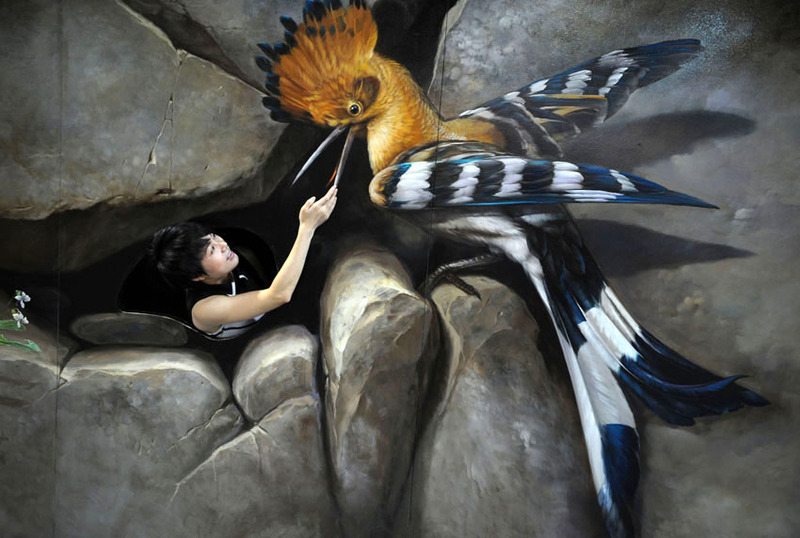 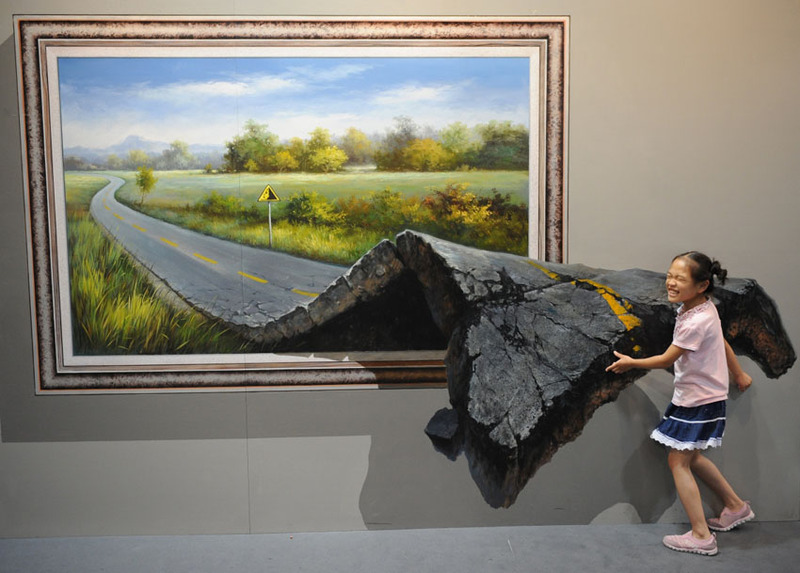 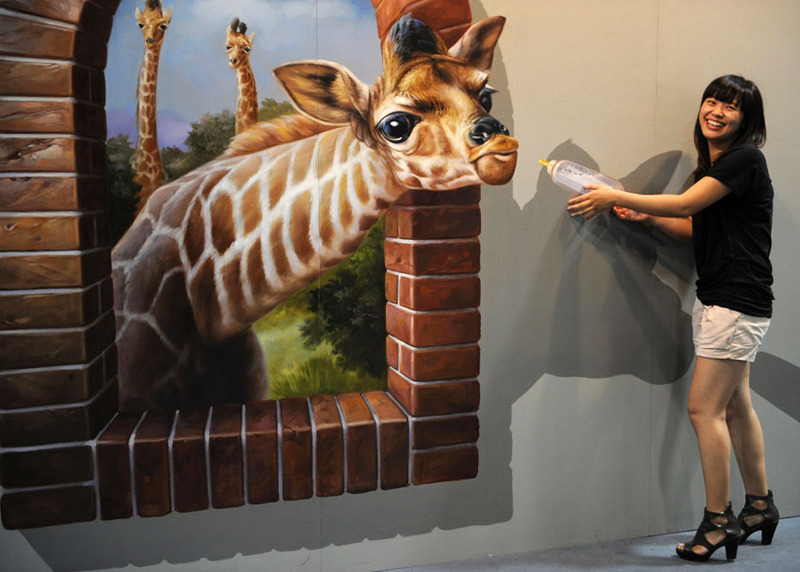 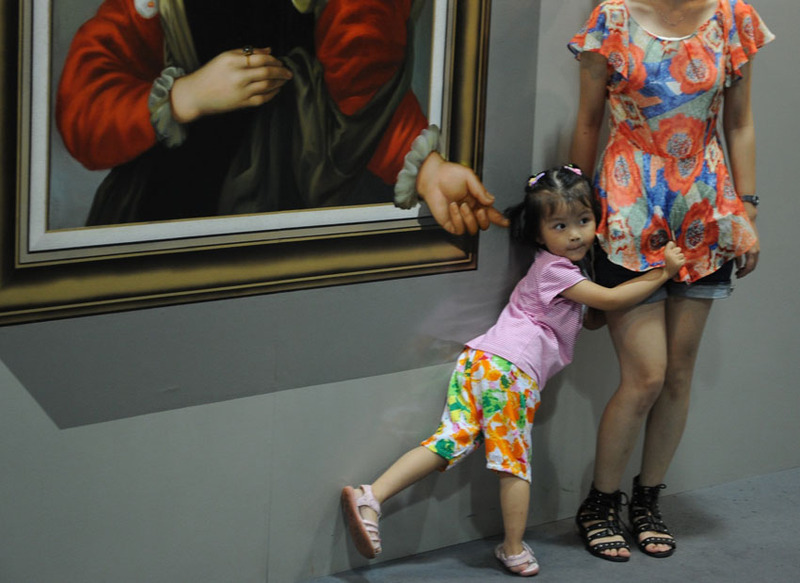 The cheeky snap is just one of hundreds at the Magic Art special exhibition in China's city of Hangzhou. 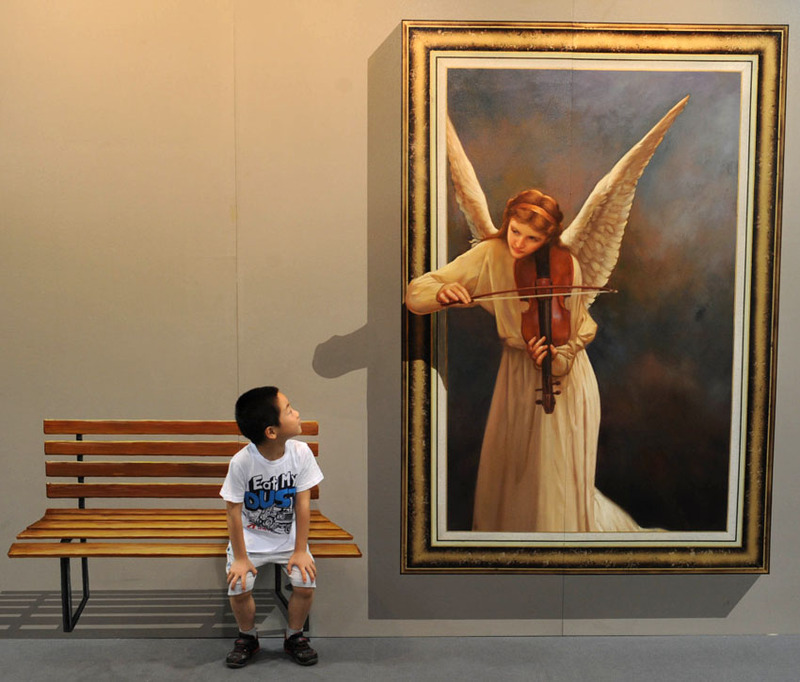 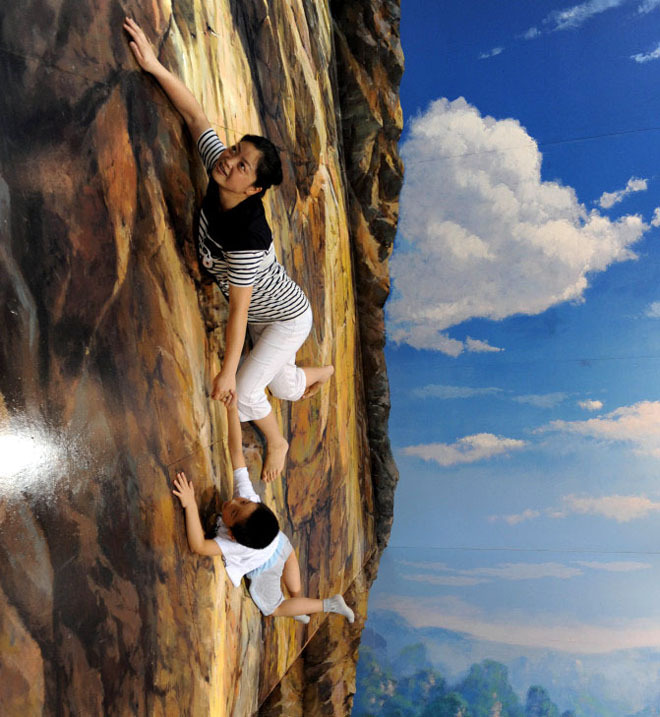 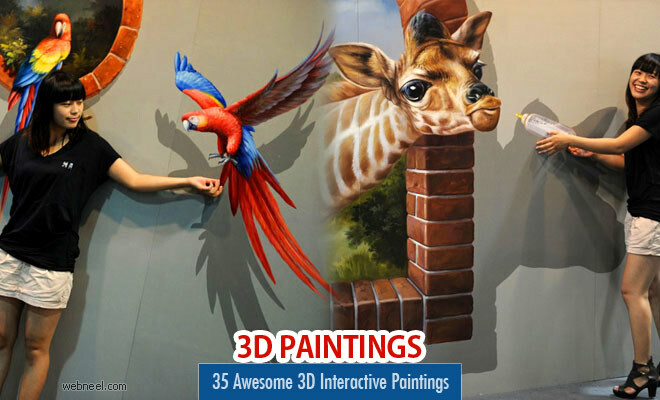 Vistors are encouraged to touch, sit on and interact as much as possible with the exhibits on show at the Hangzhou Peace International Exhibition and Conference Centre. 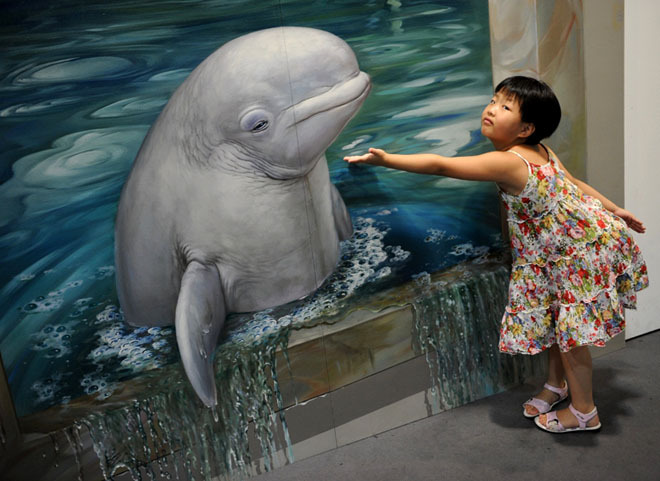 Other pieces include a porpoise leaning out of the water, a raging King Kong and majestic bamboo forests.